– I was happy to introduce to CIL Ronnie Meek, pastor of Springhouse Worship & Arts Center in Smyrna, TN. Ronnie was fun to listen to, and he did some great consulting work with the Leadership Board after church. – Thursday morning I flew to Dallas for a 48 hour trip. I needed to use airline miles before they expired, so this was a good opportunity to visit family & friends when it wasn’t a holiday. My pastor, J ohn McKinzie of Hope Fellowship in Frisco, TX, picked me up and we enjoyed some Tex-Mex and encouraged each other in the ministry. I’ve been friends with John for 24 years, when he was my Jr. High pastor. I worked as his assistant nine years, and he was an incredible boss. In the afternoon, I spent time with John’s youth pastor, David Stocker. David attended CIL for two years, and was a great influence on the church, and a great friend to me. He joined Hope Fellowship’s staff fourteen months ago, and has grown the youth group to several hundred participants. Tonight, I am watching the World Series with my Mom, Shelby (sister) and Scott (brother-in-law) and Austin and Denton (their adorable twins). Great home cooked food. Go Rangers! On Friday, I’ll spend the day with my high school friends, before catching the last plane back to Nashville on Friday night. 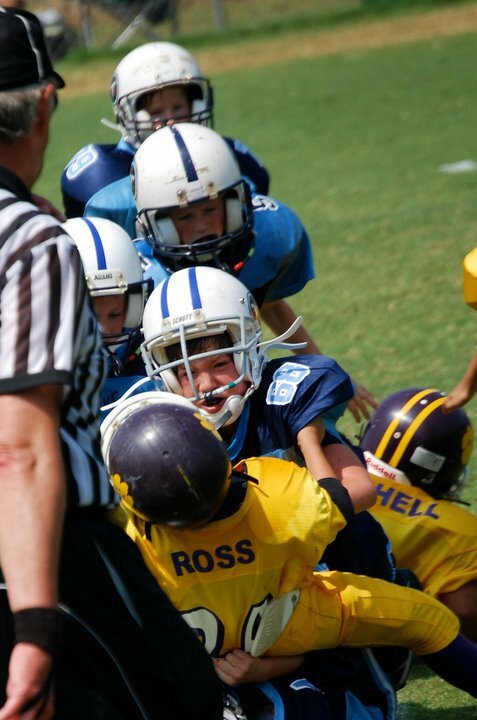 Saturday, my eight year old Luke has his last football game at 9:oo a.m. at Drakes Creek park in Hendersonville. It’s been his first year of football, and its been a special season for our family. I would rather see that game than the World Series!